As highly trained and dedicated volunteers to the Lewiston community, it is our mission to provide the highest quality care. Our services include prompt response to fire and rescue calls, as well as emergency medical incidents. Our dedication and service extends to provide protection of life and property which includes quality fire prevention education. We faithfully provide these services to all members and visitors to the community. Honesty towards ourselves and others. Concerned care to the sick and injured. Expertise at all times and in all situations. Willingness to help, teach, instruct and train. Working together we will solve the problems to which we are confronted with consideration and diligence. Lewiston Fire Company No. 1 would like to thank our community for their continued support during our annual fundraiser (mailer) and open house event. Our open house ran from noon to 4pm and was attended by hundreds of Lewiston residents. Lewiston 1 crews were recognized tonight by Mount St. Mary's Hospital at their annual ‘Salute to EMS’ Awards and Recognition Dinner. Our crews received not only one, but two ‘Best Save’ awards. 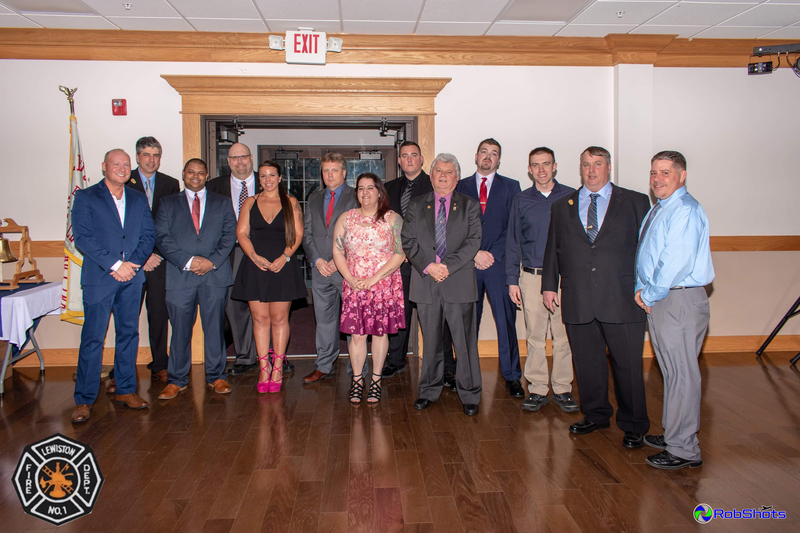 2018-2019 Officers of Lewiston Fire Company No. 1 were installed. Chief Myers and President Grainge also thank Lewiston 1’s top responders for 2017.